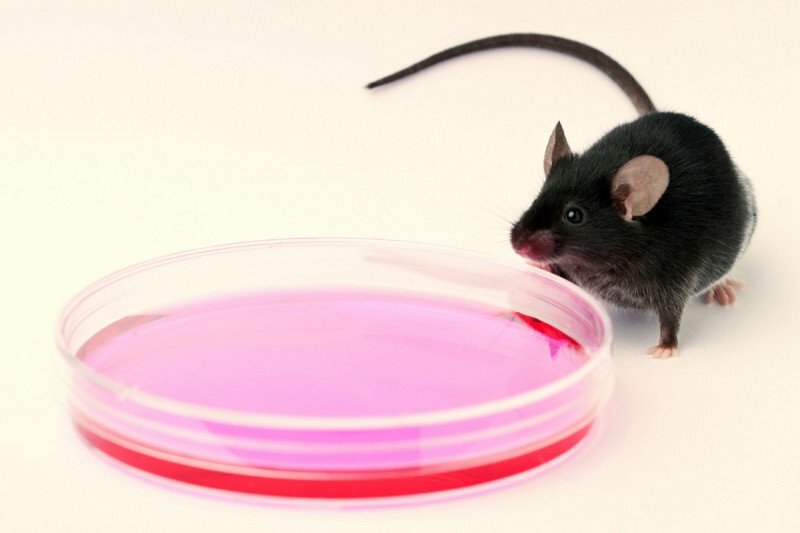 Disease models based on human pluripotent stem cells could be a promising complement to lab mice. Memorial Sloan Kettering researchers have pioneered a new method to study complex genetic conditions including cancers. The approach makes it possible to use human pluripotent stem cells, or hPSCs — the immature cells from which various cell types and tissues develop — to create disease models in which genes can be shut down or altered with unprecedented ease. 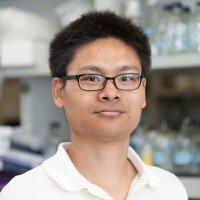 Developmental biologist Danwei Huangfu, a member of the Center for Stem Cell Biology, led the development of the technique, which is described in a report published today in the August issue of Cell Stem Cell. She thinks it will provide a powerful tool for research on a variety of diseases and significantly speed experiments that normally would take years or decades to complete. “It could be the new lab mouse,” Dr. Huangfu says of the method. Her team uses it for research on pancreatic cancer and type 2 diabetes and makes it available to other scientists around the world. In recent years, the discovery of methods to generate stem cells in the laboratory has led to innovative ways of exploring disease mechanisms and identifying potential drugs. Scientists can now isolate a small amount of a person’s skin cells and reprogram them to create hPSCs, which are similar to natural stem cells found in embryos and have the ability to generate almost any type of tissue. The engineered stem cells can be induced to develop into the cell type of choice, such as a heart, brain, or liver cell. These cells can then be used to replicate and study a disease in a petri dish. For some diseases, including cancers, researchers have found that mouse experiments can produce misleading results. For example, it’s not uncommon that a drug shows promising results when tested in animals but later is found to have little or no effect in a patient trial. Stem cell technology makes it possible to replicate the biology of a human disease more accurately, but hPSCs have their own limitations. For example, to be able to investigate complex diseases such as cancers, in which multiple gene changes happen over time, scientists need to be able to alter a cell’s genome at will. The progression of a person’s tumor can then be played out step by step, and drugs can be tested in the presence of various types of mutations. It is relatively straightforward to modify the DNA of a mouse cell, however it could take a year to generate a “knockout mouse,” a strain of mice in which the function of a gene has been disabled. And thus far, hPSCs have been even more difficult to manipulate genetically. 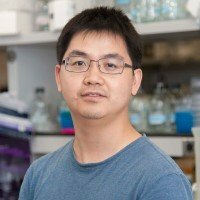 “Knocking out a single gene in a human stem cell could take significant efforts and is often not experimentally feasible,” Dr. Huangfu explains. However, in 2012 researchers invented a new gene editing tool that makes it possible to manipulate the genetic code of any type of cell with unparalleled efficiency and precision — much in the same way a copy editor might move words around or fix spelling mistakes in a text — causing great excitement among scientists. 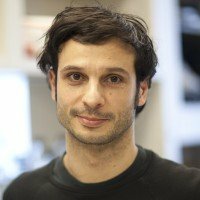 The new technique, called CRISPR (pronounced “crisper”), makes it possible to cut and paste the building blocks of a cell’s DNA with the help of bacterial proteins. Dr. Huangfu and her colleagues took advantage of CRISPR and an additional gene editing tool to generate the first lines of hPSCs in which multiple genes can be edited at once — a method they call iCRISPR. In principle, researchers might use these cell lines to investigate any disease, she explains, with the ability to shut down or churn up the activity of genes or tweak their function in a carefully controlled manner. “With iCRISPR we were able to introduce mutations in 12 different genes in just a month,” Dr. Huangfu says. “This would have been virtually impossible to accomplish only a year ago.” Within a few weeks after the current study was published online, more than 20 scientists had already approached the lab asking for samples of the cells. Dr. Leach, a surgeon and cell biologist who heads the recently established David M. Rubenstein Center for Pancreatic Cancer Research, was not involved in the development of iCRISPR. This research was supported by the National Institutes of Health under grant number R01DK096239 and by the March of Dimes Foundation, as well as by postdoctoral training grants of MSK’s Center for Stem Cell Biology.